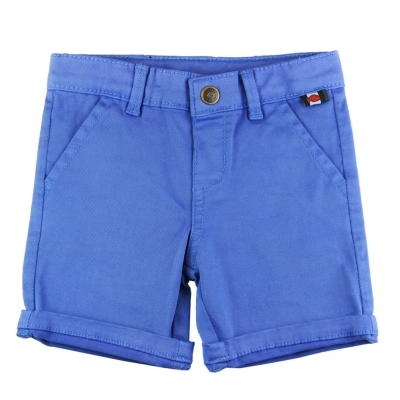 Lovely blue cloth bermudas, for baby boys. It has 2 pockets on the front and 2 back raglan pockets. This garment has been dyed after its manufacture. Variations are genuine characteristics of the product and its appearance. Wash your garment separately and do not dry it in direct sun light. Jeans bermudas, for baby boys. It's provided with a snap opening, 2 front pockets and 2 back pockets. It has a Week-end à la Mer patch in the back. Adjustable belt Their golden seams bring a very chic look to the model. Red shorts for baby boy. It has 2 raglan pockets on the front and one back pocket, enhanced by a Week-end à la Mer patch. The feature of the model : its belt, composed in 2 parts : the navy elastic circumference with a thin white stripe in the middle, and the front side, non-elastic, that is red and has 2 belt loops. Plain navy bermudas, for baby boy. 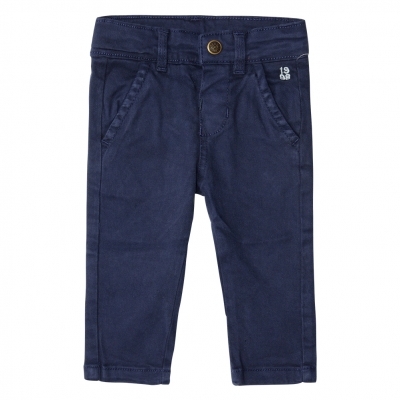 Lovely navy cloth pants, for baby boys. It has 2 pockets on the front and 2 back raglan pockets. This garment has been dyed after its manufacture. Variations are genuine characteristics of the product and its appearance. Wash your garment separately and do not dry it in direct sun light. Lovely navy cloth bermudas, for baby boys. It has 2 pockets on the front and 2 back raglan pockets. This garment has been dyed after its manufacture. Variations are genuine characteristics of the product and its appearance. Wash your garment separately and do not dry it in direct sun light. Plain navy shorts, for baby boys. They are provided with 2 raglan pockets and a navy-striped white back pocket. Felt red jogging pants, for baby boy. 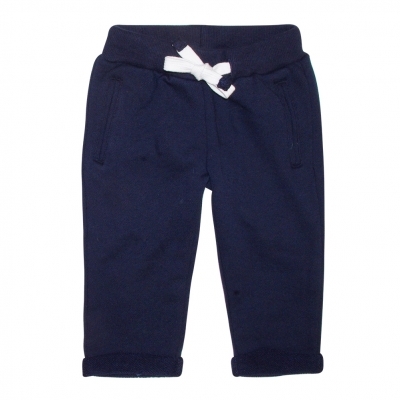 Felt navy jogging pants, for baby boy. Jeans, for baby boys. Stretch denim It's provided with a snap opening, 2 front pockets and 2 back pockets. It has a Week-end à la Mer patch in the back. Adjustable belt Their golden seams bring a very chic look to the model.